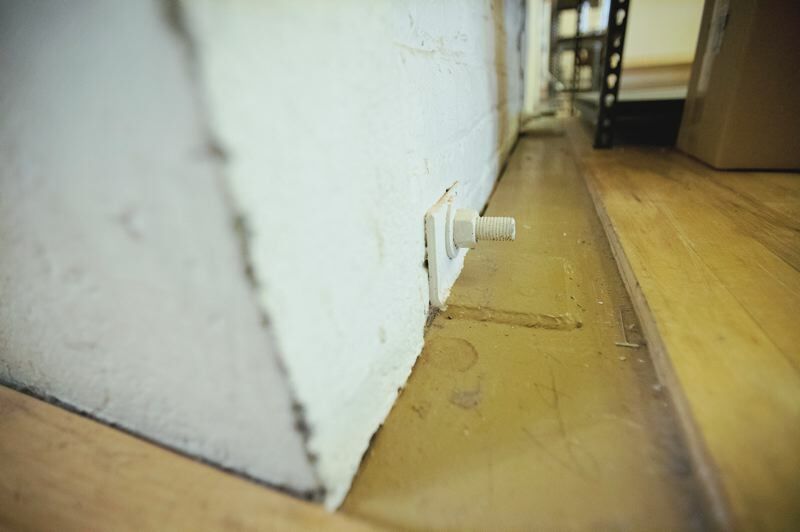 Rejuvenation Hardware already underwent a $1 million upgrade against quakes. But that does not count under the warning sign policy. 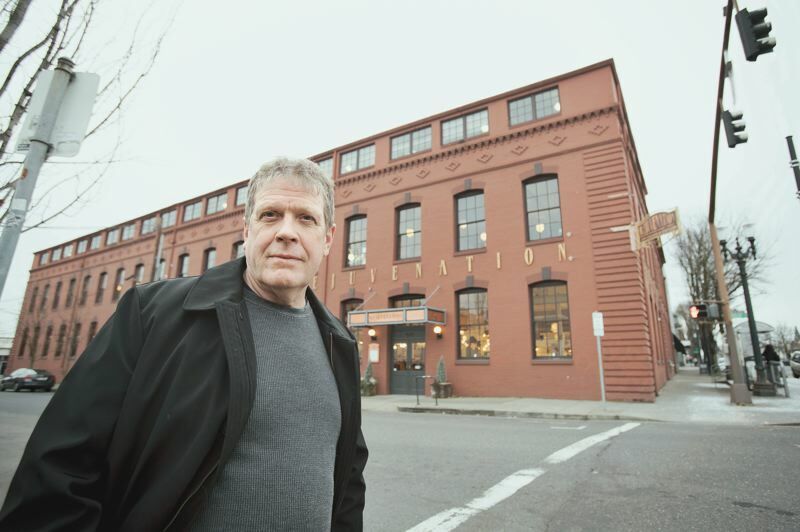 Twenty-four years ago, Rejuvenation Hardware founder Jim Kelly spent more than $1 million upgrading the company's landmark headquarters building in Southeast Portland to better withstand earthquakes. The work included installing steel bracing, special flooring and concrete pillars inside the historic 1905 Neustadter Building — and even bolting it to a newer concrete building next door. The work was performed under the supervision of the Portland Bureau of Buildings, which issued a Certificate of Occupancy when it was completed on Feb. 16, 1995. "I wasn't required to do the work at the time. I did it voluntarily and never imagined the city could still come after me," Kelly told the Portland Tribune while conducting a tour of his building earlier this month. The Portland City Council passed the posting and related requirements last October. Kelly was notified of them Dec. 14. Bringing the Rejuvenation Hardware headquarters up to current earthquake standard would cost millions of dollars. The city estimates there are around 1,640 buildings in Portland that don't meet current earthquake standards. As Kelly sees things, most owners either can't or won't invest that much money in such buildings. The owners will either redevelop them or sell them for redevelopment, meaning the buildings most likely will be torn down and replaced. 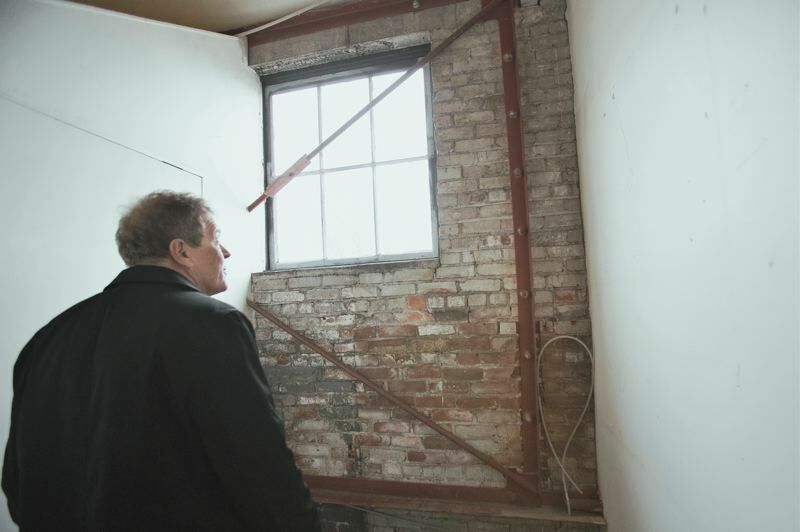 "I'm not worried about any one building, but the entire fabric of the city," Kelly said. Kelly is speaking out as the council is poised to reconsider its requirements and a federal judge has issued a temporary restraining order preventing city officials from enforcing them on commercial buildings for 60 days. The requirements had been scheduled to take effect March 1, but now cannot be enforced until May 1, at the soonest. The Neustadter Building is a contributing resource within the East Portland Grand Avenue Historic District. It was built as a clothing manufacturing plant and hosted the Portland Flower Market before Kelly bought and renovated it in the early 1990s. Today, the prominent three-story building at 1100 S.E. Grand Ave. is packed with Rejuvenation Hardware's products and houses multiple offices and conference rooms for the company's workers. Kelly said he thinks the signs will unnecessarily discourage shoppers and worry employees. The Bureau of Development Services maintains a URM database that lists more than 1,800 of them in the city. The bureau thinks about 1,640 have not been adequately strengthened and could collapse during a major earthquake. The list originally was complied in the 1990s and recently updated. The bureau says the city makes no representations about its accuracy. The "upgrade status" of the Rejuvenation Hardware building is described as "unknown." Owners of other unreinforced masonry buildings have publicly complained about the requirements for months, saying the signs will reduce the value of their properties and make refinancing them difficult. They include music club owners and representatives of African-American churches, who rallied against the requirement outside City Hall on Jan. 5. Joining them was the Rev. E.D. Mondaine, president of the Portland chapter of the NAACP, who said the requirement will disproportionately hurt minority-owned businesses and nonprofit organizations. "We're calling on Mayor Wheeler and the board of commissioners to stop this process now," Mondaine said. Some buildings have been removed from the URM database after their owners appealed and argued they meet current earthquake standards. But Kelly's plight tells a different story. City officials have told him he cannot win such an appeal because his work was done too long ago. The standards increased since he started it. The money he spent and the improvements he made don't make a difference to the city. "I am not claiming that my building meets the newer standard. My beef is simple. My building is fully retrofitted to the earlier standard. The new ordinance is flawed. 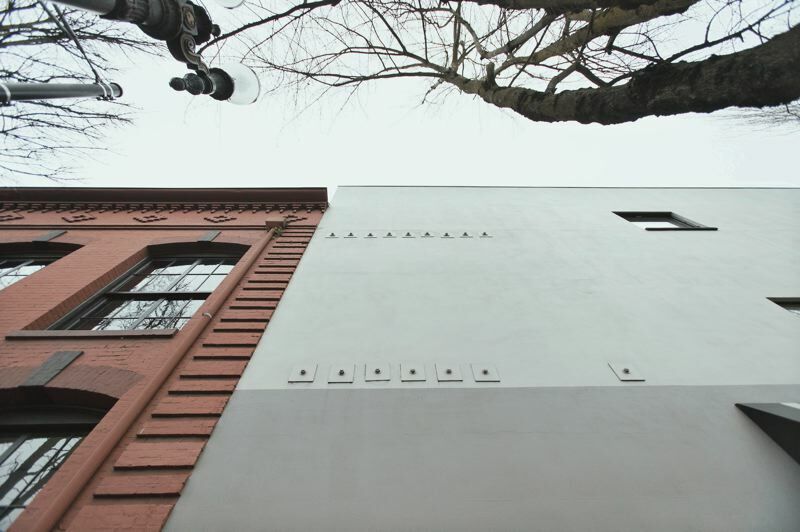 It should not require me and others in my situation to state publicly something that is factually untrue — that the building is an unreinforced masonry building," said Kelly, the son of well-known Portland remodeling contractor Neil Kelly. Walter McMoines, president of the Masonry Building Owners of Oregon, said there are at least dozens of buildings like the one Kelly owns in Portland — buildings that have had earthquake upgrades the city does not recognize. They include one he owns, the Trinity Place Apartments, at 117 N.W. Trinity Place, near Providence Park. "We finished the work just a few years ago. I asked the city if that doesn't count for something, and they said no," McMoines says. Unless the council reconsiders the requirements or the federal court strikes them down, building owners like Kelly and McMoines still face hefty fines if they do not comply. The development services bureau recently released a schedule of fines for noncompliance that range from $257 to more than $38,350 per month. A federal judge barred Portland officials last week from enforcing its controversial requirement that owners of commercial unreinforced buildings post earthquake warning signs by March 1. The injunction was issued as the City Council is poised to reconsider that and other requirements it imposed on URM building owners last October. Oregon U.S. District Judge John Acosta issued the injunction Feb. 14, just days after Portland City Commissioner Jo Ann Hardesty introduced a resolution to delay the posting requirement for commercial buildings until Nov. 1, 2020. The resolution also would eliminate a requirement that an agreement to post the signs be filed with the deed to the buildings. It is scheduled for a first hearing on Wednesday, Feb. 20. The legal sparring and scheduled council hearing are just the most recent twists in a controversy that stretches back years. There are more than 1,800 such buildings in Portland. Of those, the city believes that 1,640 have not been retrofitted to survive an earthquake. The council discussed requiring owners to bring all of them up to current earthquake codes, but felt the cost — an average of $105 per square foot — is too expensive. But now a majority of the current council has come out against the posting requirement, which was approved by only two of its current members, Mayor Ted Wheeler and Commissioner Amanda Fritz. Hardesty replaced Commissioner Dan Saltzman, who voted for the requirements, in January. She has since directed Portland Fire & Rescue, which she oversees, to not enforce the posting requirement. During the Feb. 14 federal court hearing, city attorneys said the situation at the council was fluid and the language of Hardesty's resolution could change before the Feb. 20 hearing.